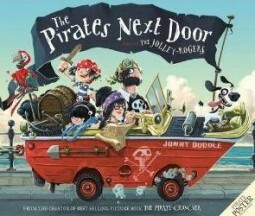 The Jolly-Rogers are a pirate family and they are moving in to Dull On Sea! Matilda loves their new pirate neighbours – but the other townsfolk don’t agree. They say the pirates smell, they have rats and cutlasses, they dig up the roads and their ship spoils the view! Matilda, though, befriends a pirate boy, Jim Lad, and has a brilliant time with the Jolly-Rogers, until the time comes for them to set sail again. When the pirates leave each of the townsfolk a special gift, the people realise that maybe, just maybe, they were wrong about the pirate family…. 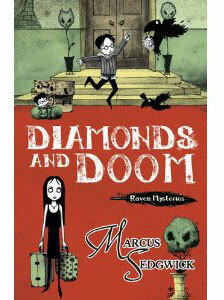 This story has a dog with a wooden leg, cannon fire, lots of digging, secret treasure and a fantastic pirate ship. The family of Otherhands are back in their latest adventure, where they face their toughest challenge to date. Their home, Castle Otherhand, is up for sale and they may be forced to leave the home that has been lived in by the Otherhand family for generations. Watch out for a snapping alien space beast with tentacles, lots of diamonds and some rather grumpy estate agents.